Download a pass from the Rec. and Parks website or pick up at the office M-F, 8-4:30. Free for Norwalk residents. Non-resident passes are $225/year for land-locked towns, office pick up only. The non-resident parking fee is $35/car on weekdays before 5:00pm. $40/car on weekends & holidays before 5:00 pm. $15/ car every day after 5:00pm. The day of the Fireworks, 7/3 or rain date 7/5, the parking fee will be $40.00 all day with no discounted fee after 5:00 PM. Day Parking Passes are purchased at the beach entrance gate. Take I-95 to Exit 16, turn right on to East Avenue, go through two traffic lights, going under the railroad bridge. Bear left after third traffic light to Cemetery Street; bear right onto Gregory Boulevard south to traffic circle. Bear left and follow Calf Pasture Beach Road to beach parking area. Take I-95 to Exit 16, turn left on to East Avenue, go through three traffic lights, going under the railroad bridge. Bear left after third traffic light to Cemetery Street; bear right onto Gregory Boulevard south to traffic circle. Bear left and follow Calf Pasture Beach Road to beach parking area. If you’re wishing for a blue water backdrop for your special day and you can’t do the Caribbean, how about a celebration at Calf Pasture Beach, or neighboring Shady Beach? Both offer easily affordable options that don’t require shoes. 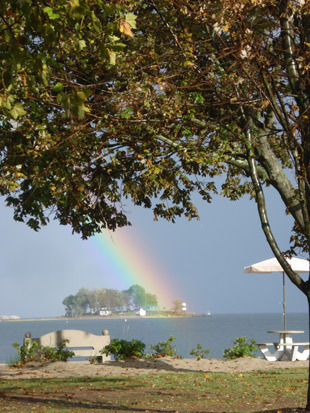 We can’t guarantee rainbows but they do happen! If you’re thinking of something in a beautifulf park setting , look into Norwalk’s Gallaher Mansion in Cranbury Park. There’s so much to do here everyday! Baseball/softball, volleyball, skate park, playground, refreshing splash pad, sun and sand sports, the sailing school, bocce, basketball and 3/4 of a mile of scenic coast line with tremendous views. 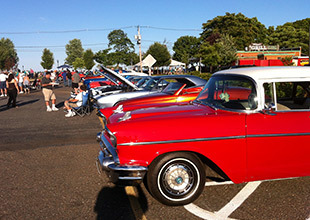 There are also special events scheduled all season long ranging from classic car shows to fabulous free concerts! Dining at the beach...Ripka's Beach Café! 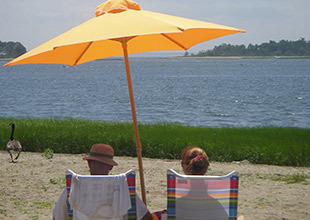 Enjoy a casual meal of beachy food, or try the delicious fresh seafood at Ripka's. Always fresh and served with a smile! 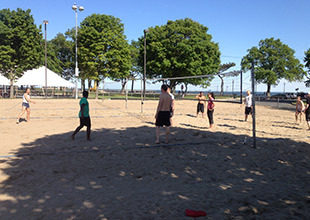 Plan your next outing at Calf Pasture Beach! Plenty of parking and activities to entertain your guests! Family Events, Retirement Parties, Graduation Celebrations as well as memorable Corporate Events are sure to be a success here. 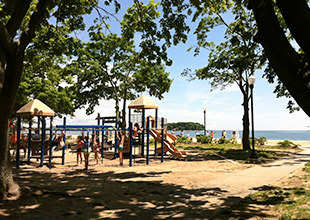 There's something for everyone at Calf Pasture Beach! Get your season pass and join the fun. 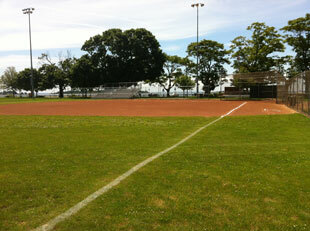 Just contact Recreation & Parks at 203-854-7289 to schedule!